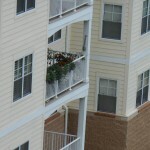 While many people love to garden, it is not always on the top of the list in Autumn. 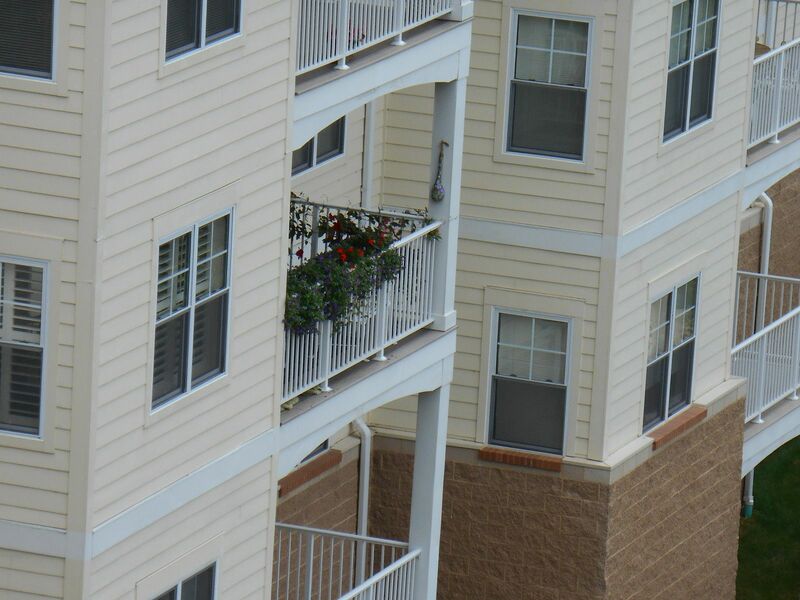 At the MOBOT event, held every year the first weekend in October, Gutter Gardens offers a gardening system for those who live in condos or apartments and can only grow things on a balcony or deck. We had the pleasure of participating in the 2015 Best of Missouri Markets & More this weekend. Enjoyed seeing the other vendors and meeting lots of folks interested in an alternative to gardening. A back problem turned Laurie Moore Skinner into an entrepreneur. 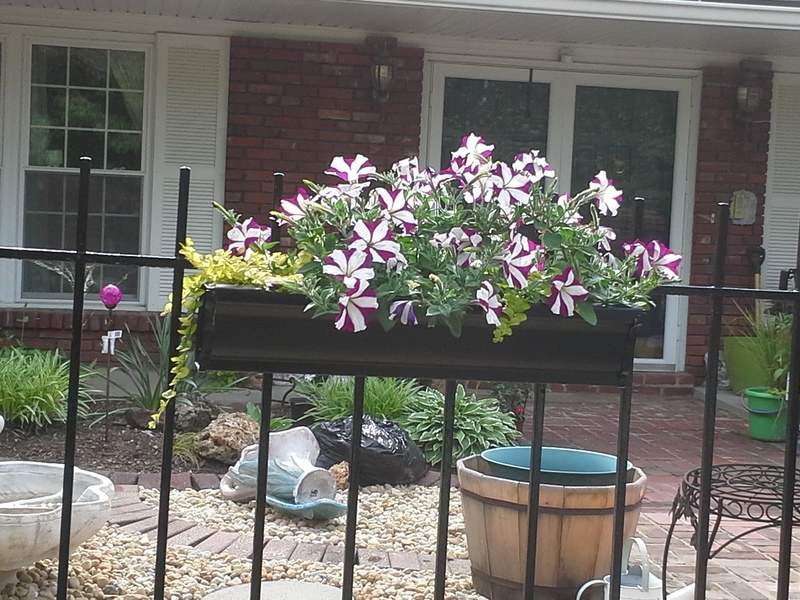 The Maryville woman wanted to continue gardening without bending over or working on her hands and knees, so she began growing things in window box-style planters. 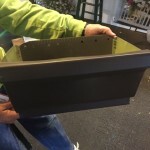 The problem was, many of the planters she tried weren’t sturdy, especially the brackets, and those with coconut liners created a mess. 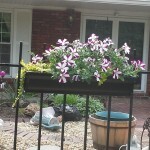 Laurie began making planters out of house guttering about 2010. She has spent the past five years perfecting her designs with reinforced side pieces, holes for drainage and filters to keep dirt from escaping. Her “research and development area” is a large, chain-link dog pen in her back yard. 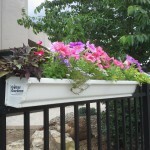 It’s lined with planters made of different sizes, lengths and colors of guttering. 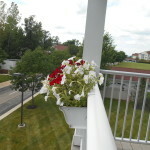 Laurie has grown several types of flowers in the planters. Now she’s experimenting with carrots, green peppers, beets, radishes, kale, spinach, broccoli, cucumbers and butternut squash. Laurie recently gave a talk on “Stand Up Gardening” at Glen Carbon Centennial Library and served as a vendor at its Ladies Night Out fundraiser. 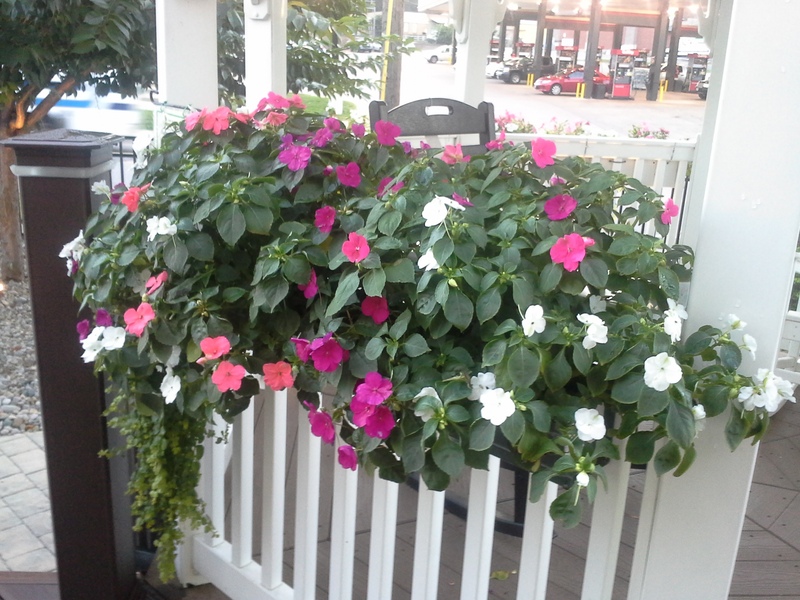 Susan Jernigan, a member of the library’s Friends organization, bought a planter to attach to her deck railing. In her case, it was about convenience, not physical limitation. 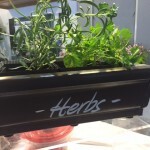 Susan has been growing parsley, basil, rosemary and sage in the planter for three weeks. Laurie is a Richmond Heights, Mo., native who earned a bachelor’s in English at Northwest Missouri State University. She got a job with a college sorority and later Campus Crusade for Christ. Laurie earned a master’s in counseling and a doctorate in higher education at Georgia State University. She became a professional fundraiser for non-profits and volunteered as board chairman for Bethany Christian Services adoption agency. Laurie met her husband in 1993 on an flight to Detroit. Eleven years later, they built a home on 7 1/2 acres in Maryville. The Skinners planted trees and attempted other landscaping on their property, but they battled with foraging deer and rabbits. 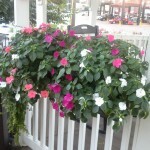 Laurie went through the master gardening program through University of Illinois Extension in 2007. 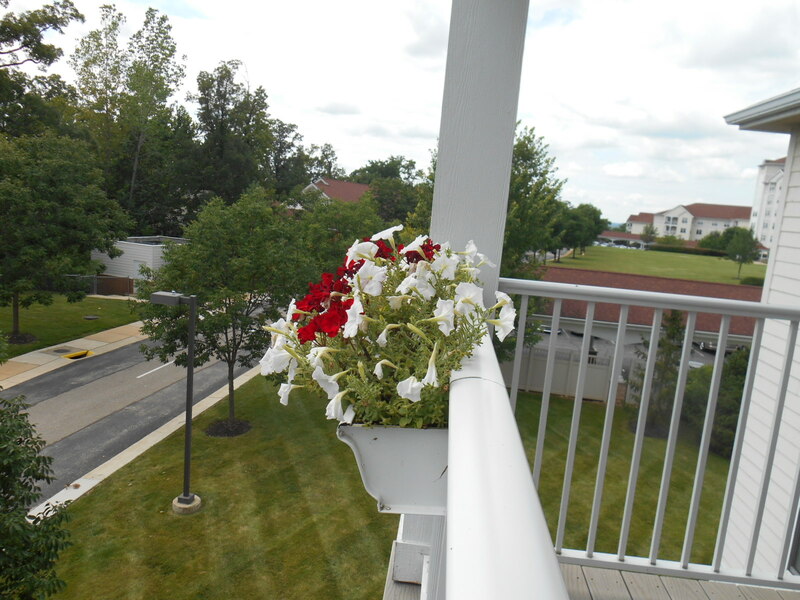 “I didn’t want to live in a soybean field, and landscaping really does add to the value of your property,” she said. 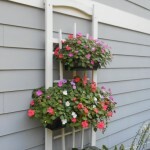 Laurie began trying planters that attached to her deck to keep from bending over and to discourage wildlife from eating her flowers. But none were satisfactory, leading her to make her own with house guttering. 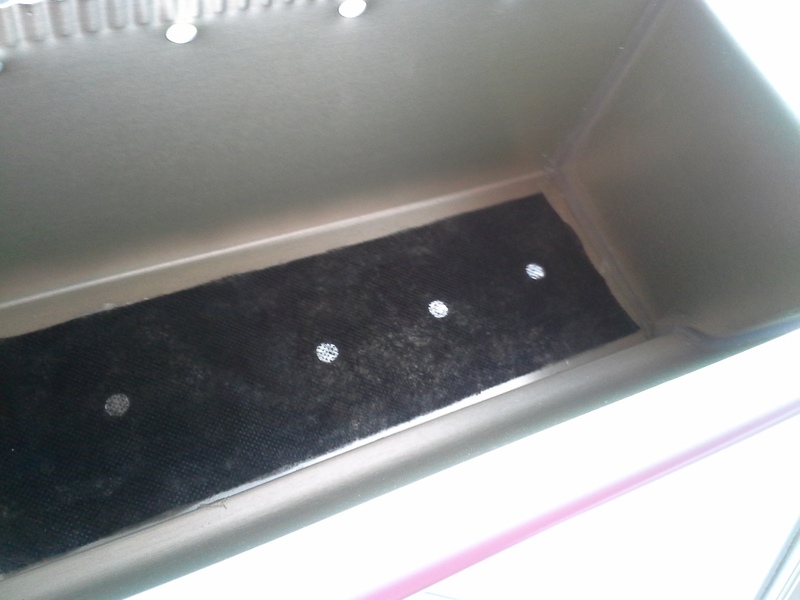 But house gutters can be sealed with chemical caulking. 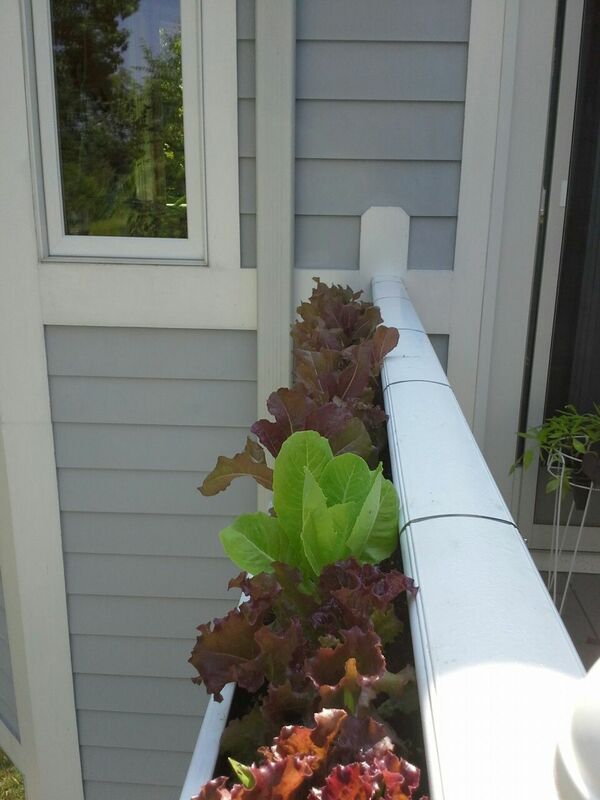 Laurie uses food-grade caulking for planters so people can grow organic vegetables. 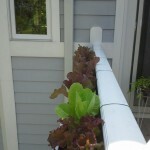 Several websites explain how to build planters out of house guttering, and Laurie gives people tips if they want to do it themselves, but many don’t have the time. 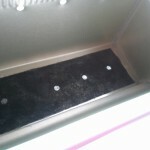 Her website is www.guttergardens.com. 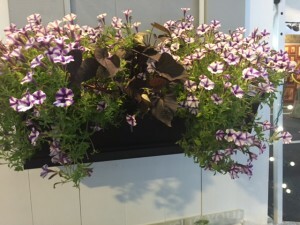 Planters range from 12 to 60 inches long and $16 to $23 a foot, depending on widths. 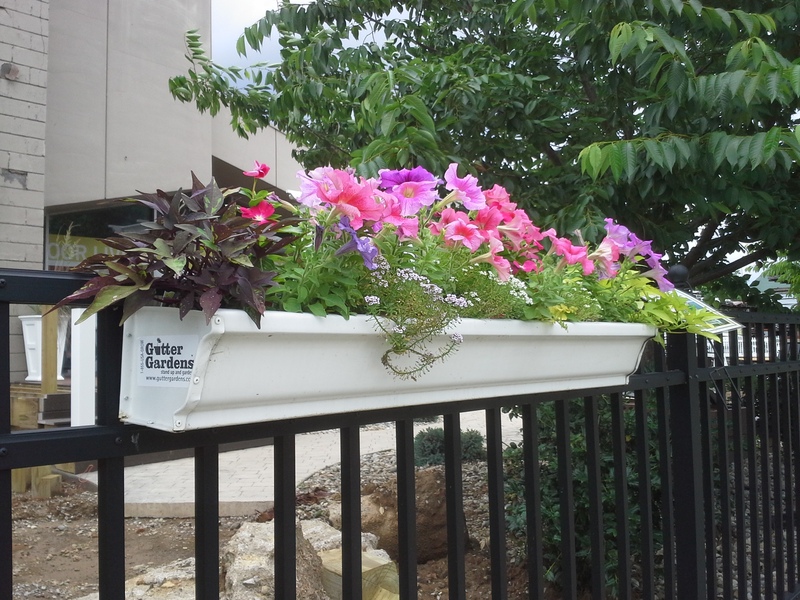 Gutter Gardens also are available at Creekside Gardens in Collinsville. 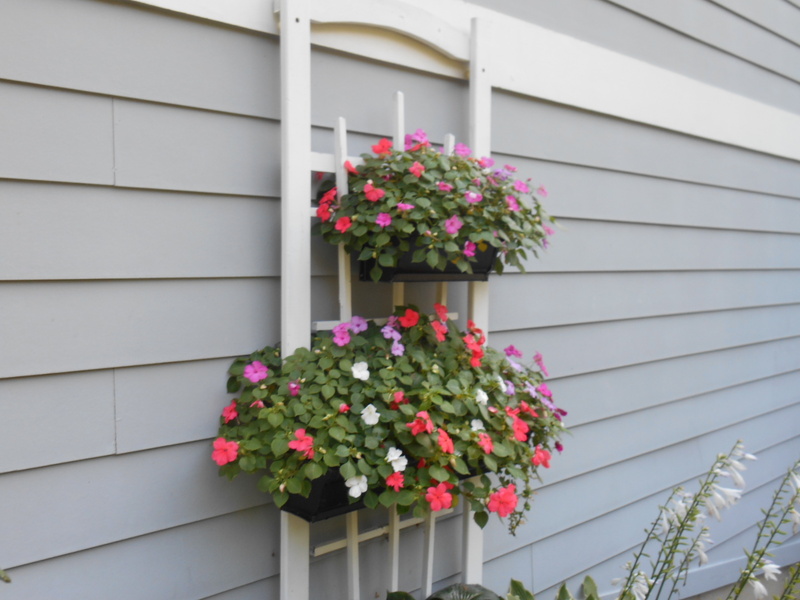 Laurie’s friend, Mary Dale, bought two planters three years ago to grow herbs on her deck. 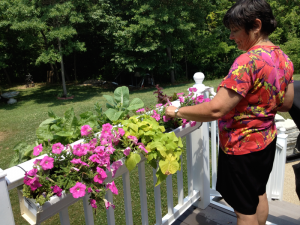 The retired medical clerk has arthritis and finds stand-up gardening to be easier than traditional gardening. 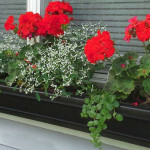 Mary, 66, of Kirkwood, Mo., mainly likes the convenience of her gutter gardens.